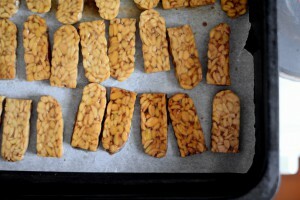 Tempeh is a naturally fermented soy product from Indonesia. Its texture and taste are more pronounced than tofu, and because it preserves the whole bean is a richer source of protein, fibre and nutrients. 1. Combine tamari, mirin and sesame oil in a wide, shallow, lidded container. Remove 2 Tbsp of the dressing and reserve. 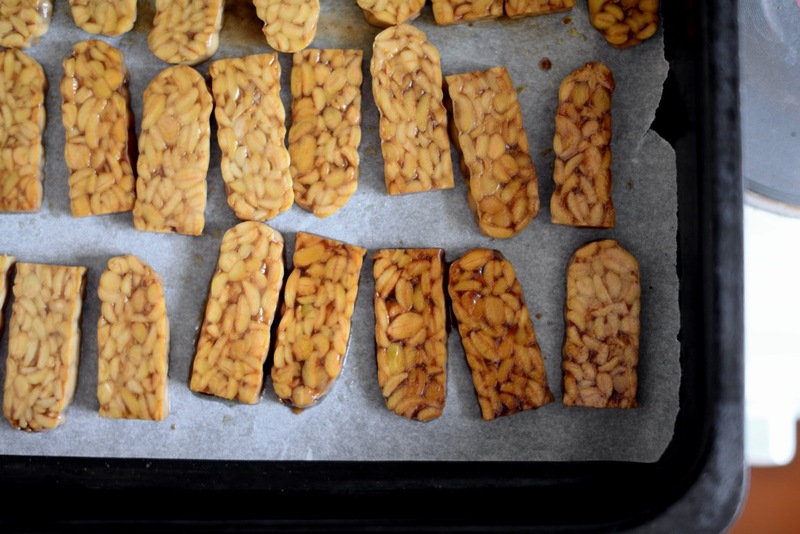 Add tempeh to container, seal and shake gently to combine. Marinate in the fridge for at least 4 hours, shaking every now and then. 2. Preheat oven 180°C and line a tray with baking paper. When tempeh has finished marinating arrange on the prepared tray so that the pieces don’t touch. Bake for 30 minutes, flipping halfway through. Remove from oven and allow to cool. 3. Meanwhile, bring a large saucepan of salted water to the boil. 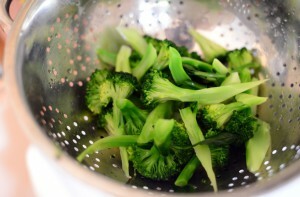 Fill a large bowl with cold water and ice. 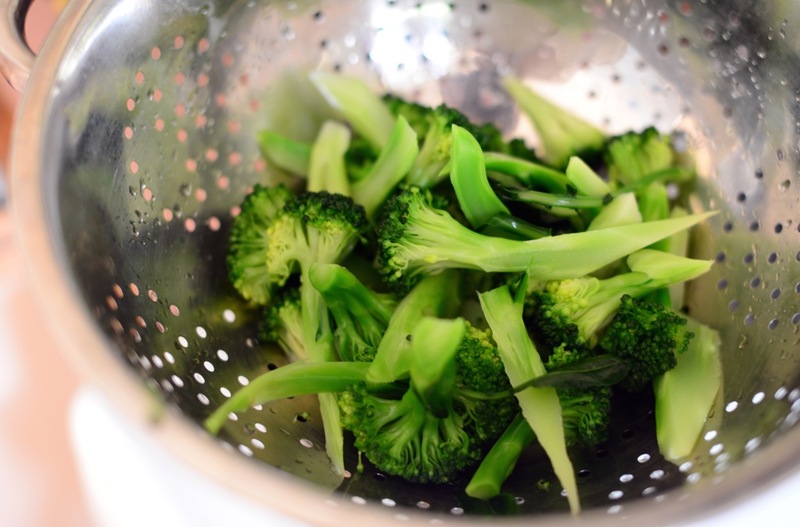 Blanch the broccoli in boiling water for about 2 minutes then drain in a colander and drop into the iced water to cool completely. Drain and allow to drip dry thoroughly. 4. 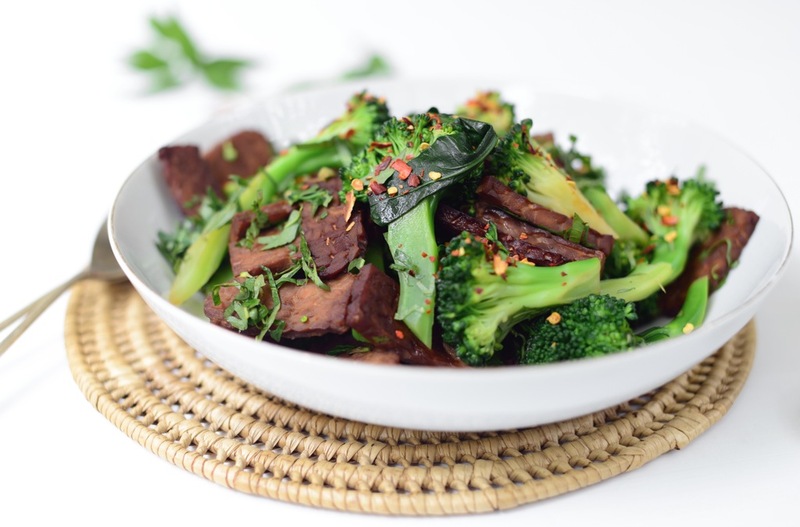 To assemble salad combine reserved dressing with lime juice then toss with the tempeh, broccoli and mint leaves in a wide bowl. Serve with brown rice, garnished with chilli flakes.